Tutorial: Applying solder paste with stencils « Adafruit Industries – Makers, hackers, artists, designers and engineers! Solder paste placement is probably the most critical stage of the PCB assembly process, and most surface-mount assembly problems can be traced back to poor paste placement. 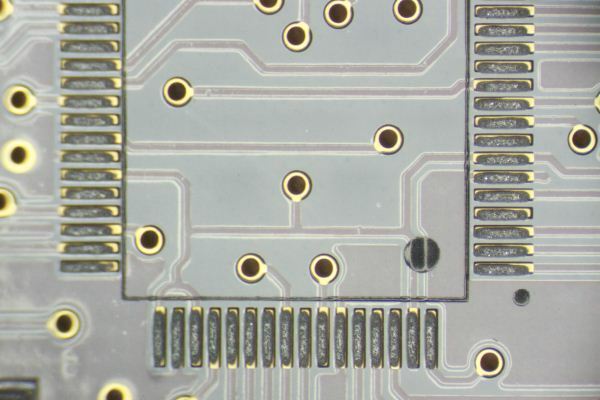 If you want to avoid time-consuming manual rework on your assembled boards, it’s essential that you have a clean, precisely positioned layer of solder paste. A few extra minutes ensuring that your paste layer is correct can easily save hours of rework with a hot air gun and a soldering iron later. You’re bound to figure that out for yourself as soon as you start trying to automate any of your assembly, but as part of a series of tutorials on the different steps involved in small-scale manufacturing, I’ve tried to describe the basic process I use applying solder paste every day. Obviously there are a number of solutions for this (for a wide variety of budgets), but I’ve tried to describe what works for me making a few dozen panels a day, representing an investment of under $200 (stencils not included). Have a tip? Post’em up in the comments! Thanks for the info. I find I’m doing more and more with surface-mount, but I wasn’t really sure what steps to take for paste stencils. So far I’d just winged it by hand. Do you mean to say to clean it after a run of boards, before you put it away? Or you need to clean it after each and every board, even if you are doing the same board, one after the other? I mean clean it after each board, or at least every 2-3. It’s not strictly necessary, but you’ll probably get much cleaner paste layout on fine pitch QFP/QFN parts, etc., with a clean stencil (no residual paste inside the holes). Solder mask is generally your friend and will do a good job of pushing the paste onto the pads during reflow, but if you’re making 50 boards it makes a REALLY big difference if 95% of them require no manual rework because there are no bridges. Cleaning the stencils every usage or two will save you time in the long run, since it only takes 15 seconds versus 15 minutes of rework. If you don’t care about a couple bridges, though, it might not be worth the trouble and you can just clean up any bridges when you solder on any headers, etc. I always aim for 0 rework, though, and I’d about 1 in 15 boards I reflow have a bridge on 0.5mm pitch parts being careful with the paste process. It was maybe 1 in 3 before. Awesome Kevin – thank for the addition info. There is a Digi-Key YouTube video on reflow soldering high brightness LEDs to MCPCBs. They used a high end heat gun and solder paste. I think their temperature was a little high; for the Cree LEDs I use, the specs say 215 C. for Peak/Classification temperature. I was able to do the same thing with a paint removing heat gun using an infrared thermometer to measure the temperature. The application of the solder paste in this case isn’t critical, the LED centers itself on the pads when the paste melted. I just used a toothpick to apply the paste to the pads. I am going try using a heat gun pointed at a piece of 18 gauge (or maybe thicker) sheet metal (as a hot plate) attached to a stand and control the temperature by measuring it with an infrared thermometer. You mentioned the chip getting pulled into position from the surface tension. I almost wonder if vibrating the board during reflow would help as well.